Ahead of the show's season premiere, Kasparian talked to WW about their process, their experience on the show, and their reality TV career. It almost didn't happen, but Project Runway is back. 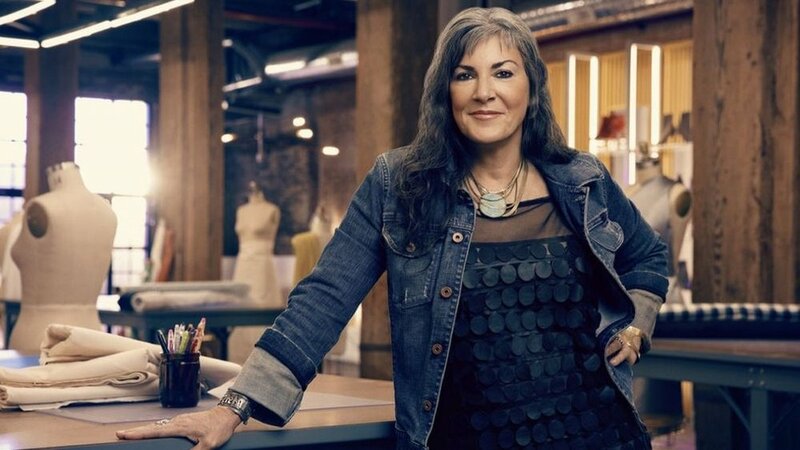 The hit fashion design reality show—produced by the now-bankrupt Weinstein Company—was picked up for a 17th season by its original network, Bravo, after A&E dropped it in the wake of the Harvey Weinstein scandal. The new version is hosted by supermodel and Trump in-law Karlie Kloss and features former Teen Vogue editor-in-chief Elaine Welteroth and Lady Gaga fashion director Brandon Maxwell as judges. Also returning is Portland's proud tradition of being the most-represented city on the show behind New York and L.A.
Sonia Kasparian will rep the Rose City on the catwalk this season, following in the footsteps of past winners Michelle Lesniak, Gretchen Jones, Seth Aaron Henderson and Leanne Marshall. Kasparian launched the Urchin Bespoke line in 2009. Noted for their intricate detailing, Kasparian's designs have been featured locally at Fashion NXT and Fade to Light and internationally at Lake Como and Windsor Castle. On a recent Saturday morning, Kasparian talked to WW about their process, their experience on the show, and their reality TV career. One of the members [of the casting agency] reached out to me, and we had a discussion about it. They said, "This could be really good exposure for your brand, if you wanted to do this. The competitions have more time, they're going to take it to the next level, they're taking [Project Runway] back to where it originally was." And I said, "You know, this sounds really good." It's kind of a leap of faith, for where I am in my career to be doing this, but by the same token, I'm doing bespoke couture in Portland, Ore., so if I really want to get my work out there to larger cities —I do have clients from across the U.S. —but to really get yourself noticed, it's a great platform to be seen. I can't imagine anyone would want to enter a competition and not win. I just want to expose my brand. I just want to expose what I can do to the best of my ability, but also with their amount of time, to a larger audience. I want to be able to have accessibility to people, to have people have an awareness of what I do and who I am, and see if I'm a good fit for what they're looking for. I would like to have my work go to the Met Gala, to the Oscars and such, really. I considered the judges my clients, which is difficult for me because when I sit down with someone, I get them. I sit down, look inside them and feel who they are. You can't do that with a panel of judges, because you're only seeing them for a few moments, and you're hearing what their direction is, but then you're like, "I don't know what speaks to you, personally." One design can go in a million directions, literally, and there are so many different things you can design for one specific direction, or one specific narrative. So, that was a bit of a disconnect for me. But as far as timing —it's time-based, it's fast, it's rapid. One-day challenges are 11 hours, and two-day challenges can be 12–13. So when you're talking bespoke couture, that's fast turnaround. It's one thing to have your brand, but when you do bespoke couture, you can't necessarily have that in an environment like that. You have to build something that you think represents the brand to the best of your ability, even though it's a different animal. If you are going to do this, it'd be good to watch a few episodes—but most people, if they're applying for it, honestly have watched more of it than I have, I assume. I hadn't really seen Michelle [Lesniak, Season 11 winner], except at social events or fashions shows, so I did just reach out and say, "Hey, you know, I'm nervous about this, is this going to be OK?" She's like, "Oh, you're going to do fine, don't worry about it," and that was our conversation. I know she was really busy at the time, although she hadn't announced she was getting ready for [Project Runway] All Stars.